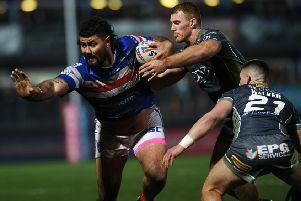 Lacklustre Wakefield Trinity crashed out of the Ladbrokes Challenge Cup last night with a woeful display at Huddersfield Giants. Despite leading 8-6 a half-time, Chris Chester’s side hardly put a foot right in the second period and were jettisoned in disappointing fashion. Wakefield's David Fifita fends off Huddersfield's Jake Mamo and Danny Brough. Sunday’s 54-18 win over Hull KR had offered hope they were getting back on track but they slipped into their old ways here. 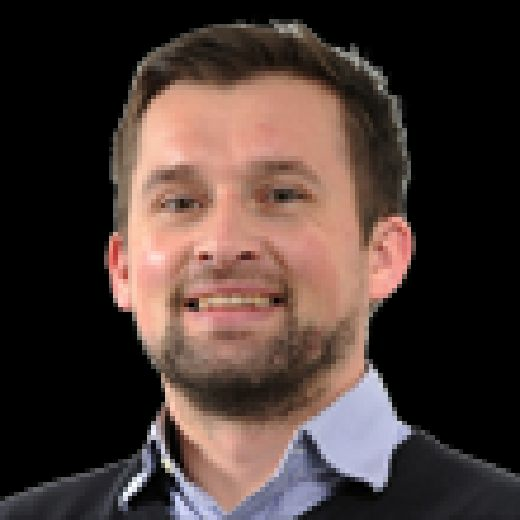 Trinity were missing the injured Scott Grix, Craig Huby and Ben Jones-Bishop but there was little excuse for some of their ineptitude at Giants. Chester said: “It was pretty disappointing. “We should have been 20 points up after the first half but we came out for the second half far too slowly. Once Kruise Leeming sent Matty English over far too easily in the 45th minute for Huddersfield to go ahead, Trinity wilted badly. Soon after, Jake Mamo was allowed to offload and Ukuma Ta’ai charged in from 10m out. Still, twice Wakefield had good position to attack only to softly spill when playing the ball. The second time they also conceded a penalty as a frustrated Matty Ashurst argued his case too strongly. It was a crucial point; in the next set, Giants went up the other end to claim their fourth try, Ta’ai again being central to it with a bullocking run through the middle before finding Gaskell to squeeze over. Danny Brough’s conversion to the 65th minute effort should have left the hosts comfortable at 24-8. However, Wakefield hit back swiftly as they created just enough space for Hampshire to tip-toe past Jermaine McGillvary. Finn curled in the touchline conversion and Chester’s side suddenly came to life. Giant second-row Pauli Pauli – a regular menace on their left edge – broke clear and found Bill Tupou but McGillvary got back to produce a vital try-saving tackle once more. Then Tom Johnstone was smothered on the other side just as he looked ready to cross. Wakefield knew it might not be their night when Jacob Miller’s fired long ball was just too high for the unmarked Hampshire to claim and it ended up in Row C instead. Trinity had got off to a quickfire start, winger Mason Caton-Brown skipping in at the corner after just six minutes to make the most of his recall with Jones-Bishop nursing a calf strain. Finn could not convert but he did slot a penalty soon after only for Adam O’Brien to immediately strike back. When Leeming was yellow-carded in the 27th minute for persistent infringing, they should have capitalised but managed only Finn’s resulting penalty. It would be the last time they would lead. Twelve-man Giants defended their line admirably showing the character that would set the platform for that fine second half showing. Trinity will get chance to quickly make up for this disappointment, though; the sides meet again at Magic Weekend next Sunday. Huddersfield Giants: Rankin; McGillvary, Gaskell, Mamo, McIntosh; Turner, Brough; Ikahihifo, O’Brien, Clough, Mellor, Ta’ai, Hinchcliffe. Subs: Leeming, Lawrence, Smith, English. Wakefield Trinity: Jowitt; Caton-Brown, Tupou, Arundel, Johnstone; Miller, Finn; England, Wood, Fifta, Ashurst, Pauli, Horo. Substitutes: Hampshire, Hirst, Arona, Batchelor.